In case you haven’t heard, really exciting (and delicious!) things are brewing in Guelph right now. Guelph has been home to one of Canada’s brewing giants for decades, but that hasn’t stopped a crop of new, innovative, independent breweries from popping up. It’s also home to one of Canada’s coolest brewing businesses, Escarpment Labs, who describe themselves as microbiologists for better better and beer innovation. Here’s a look at what’s new — and tried-and-true! — in beer, in Guelph. This brewery is Guelph-proud, for good reason! Their beer is brewed in small batches, so heads up, offerings in their taproom (affectionately called The Ward Room) sell out and rotate often. 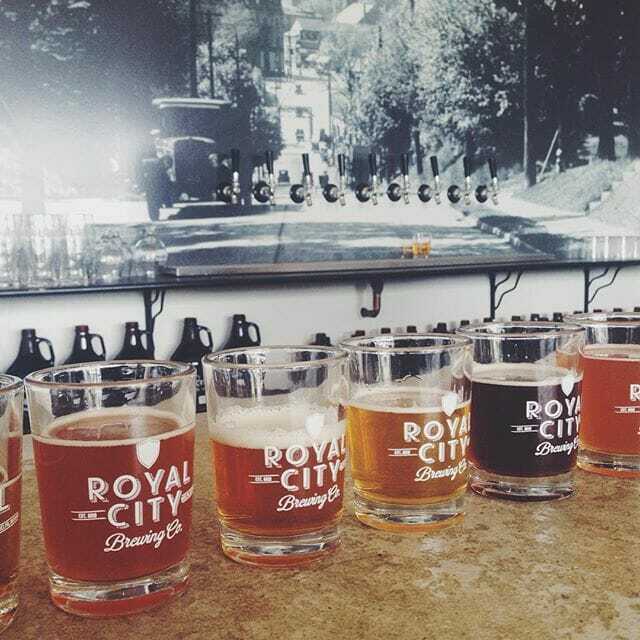 We adore their Hibiscus Saison, now available in select LCBOs across Ontario — but be sure to give other Royal City Brews a try when you stop by. ‘Welly’ is Ontario’s oldest independently owned brewery, which is no small feat! They’ve managed to stick around by brewing really delicious beer and offering up an equally great visitor experience. The Duke House tap room offers up 12 taps of classics and pilot brews a like that pair perfectly with the good vibes spread by passionate staff. The bottle shop at Stonehammer Brewing is open Monday – Saturday, but it’s the tours on Saturday afternoons that are the real draw. You get to spend an hour or so with their brewers chatting beer styles, brewing and of course, their award-winning beers. Good bear, beautiful labels and retro video games in the tap room have us addicted to the newest of Guelph’s many breweries. Brothers Brewing Co. was started by twin brothers, Asa and Colton Proveau — two guys you definitely want in your squad! For more on what to do, where to eat and how to get the most out of your trip to Guelph, check out Taste-Real Guelph-Wellington. This super cool initiative celebrates farming and those supporting farmers in the area. Have Craft at Your Fingertips with the Craft Beer Passport APP!